The world can maximise chances of avoiding dangerous climate change by moving to a circular economy, reveals a report from impact organisation Circle Economy launched today at Davos during the annual meeting of the World Economic Forum. It highlights the vast scope to reduce greenhouse gas emissions by applying circular principles – re-use, re-manufacturing and re-cycling – to key sectors such as the built environment. Yet it notes that most governments barely consider circular economy measures in policies aimed at meeting the UN target of limiting global warming to 1.5°C. 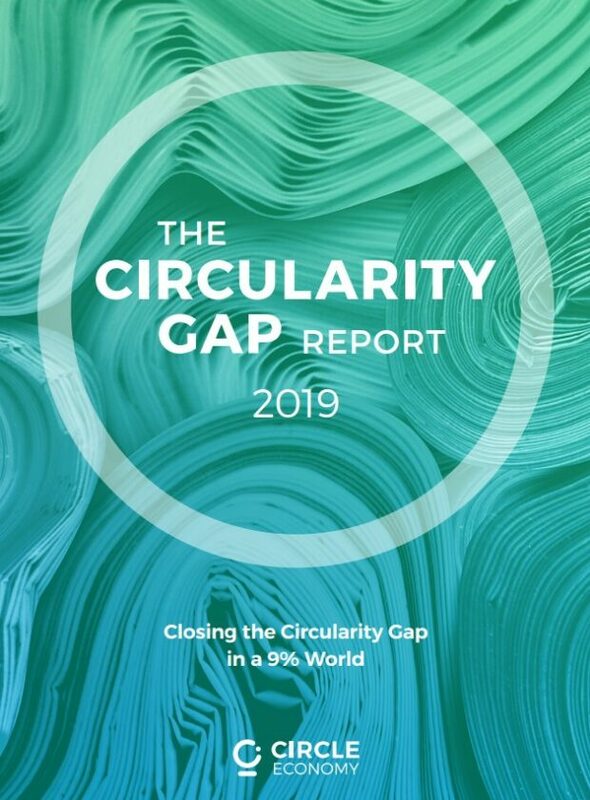 The Circularity Gap Report 2019 finds that the global economy is only 9% circular – just 9% of the 92.8 billion tonnes of minerals, fossil fuels, metals and biomass that enter the economy are re-used annually. Yet global use of materials is accelerating. It has more than tripled since 1970 and could double again by 2050 without action, according to the UN International Resource Panel. Circle Economy’s CEO, Harald Friedl, said: “A 1.5 degree world can only be a circular world. Recycling, greater resource efficiency and circular business models offer huge scope to reduce emissions. A systemic approach to applying these strategies would tip the balance in the battle against global warming. emissions but also reduce social inequality and foster low-carbon growth. decades. They can be burnt to generate energy at the end of their life. Lower taxes on labour, knowledge and innovation and invest in these areas. Lower labour taxes willencourage labour-intensive parts of a circular economy such as take-back schemes and recycling. Circle Economy’s CEO, Harald Friedl, will officially launch the report during the World Economic Forum in Davos (22-25 January), an annual meeting which brings together some 2,500 politicians, business leaders and economists to discuss the most pressing issues facing the world today. Hey Buddy!, I found this information for you: "The Circularity Gap Report: Our World is only 9% Circular". Here is the website link: https://www.duurzaam-ondernemen.nl/the-circularity-gap-report-our-world-is-only-9-circular/. Thank you.